Dave Rupp was born to be an entrepreneur. With a love for the outdoors and a keen eye for design, he grew up constantly thinking of new products to design and build. A few years ago, Dave did just that by creating his own company and successfully developing a new carbon fiber snowshoe type device for backcountry enthusiasts. The product is called DRIFT and it is just one of many ideas that Dave and his company, COAXED, plan to develop and build right here in Utah. For Dave, his journey started with a mechanical engineering degree from Utah State University. Out of college, he took his skills to a medical company where he began designing medical products and prototypes. It was there where he learned the ins and outs of product design and specifically making products manufacture friendly. While working in the field, he met his wife-to-be, Brooke, who was equally entrepreneur-minded and had a keen sense for numbers with Financial/Mathematical degrees from Tuft and Stanford. After dating, they were married and Dave and Brooke often talked about starting their own business someday when the time was right. Although Dave was happy at his medical device job, he kept his mind open for new opportunities and soon found one at ENVE Composites in Ogden, Utah. Although ENVE is widely known in the bicycle world today, at the time it was a small struggling company trying to make ends meet. However, Dave decided to take his chances and was one of the first hires the company made as they began becoming profitable. For three years Dave worked at ENVE designing composite products such as handlebars and other bike components. He helped them get their company off the ground and generate worldwide sales and recognition. During this success however, Dave continued his passion to branch out on his own and develop his own products. While still at ENVE, Dave took on some additional contract work on the side to help design a carbon fiber archery bow for a sporting company in central Utah. The bow become a huge success and was exclusively manufactured for PSE Archery products, becoming one of their most popular and acclaimed bows. When Dave saw the success resulting from his bow design, he knew the time was right to start his own company. In 2015, he, Brooke, and a few other partners decided to do just that and launched COAXED, a composites design and manufacturing company in Salt Lake City. Today, Coaxed specializes in designing and manufacturing composite outdoor products. They offer design services such as plastic injection mold design, composite design, and more. However, the core of their business is the building and manufacturing their own outdoor products. The first of these is their popular DRIFT board which began selling last winter. 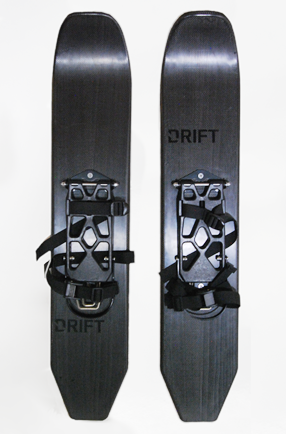 The DRIFT board is a backcountry winter device that is a hybrid of downhill skis, cross-country skis, and snowshoes. 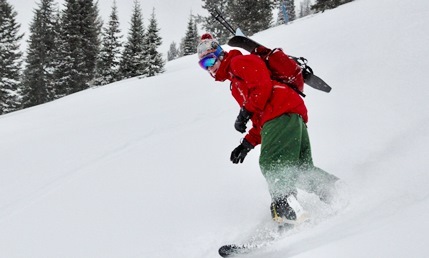 The concept was developed by Dave and his business partner Nick Hansen while they were backcountry touring in the deep winter snow of the Wasatch mountains. After building and testing several prototypes, they settled on a design that worked and began taking it to market. In September of 2017, they ran their first Kickstarter funding campaign and successfully funded the launch of their product one month later. Production began immediately and products were delivered to all their customers 4 months later. COAXED is currently in the process of launching their 2019 DRIFT boards and expects to sell over 500 units this winter. In addition to that, they are designing and prototyping additional composite outdoor products for biking and other sports. Although they are still small company, they have set their goals high to become a major design and product manufacturing company in Utah. By all indications so far, it looks like they will do just that.